Why is it that top triathletes and Olympians make swimming look so easy and effortless, while YOU struggle and work really hard? These athletes know a secret...and Coach Karlyn wants to share it with you! It's pretty simple. Do LESS...get MORE. 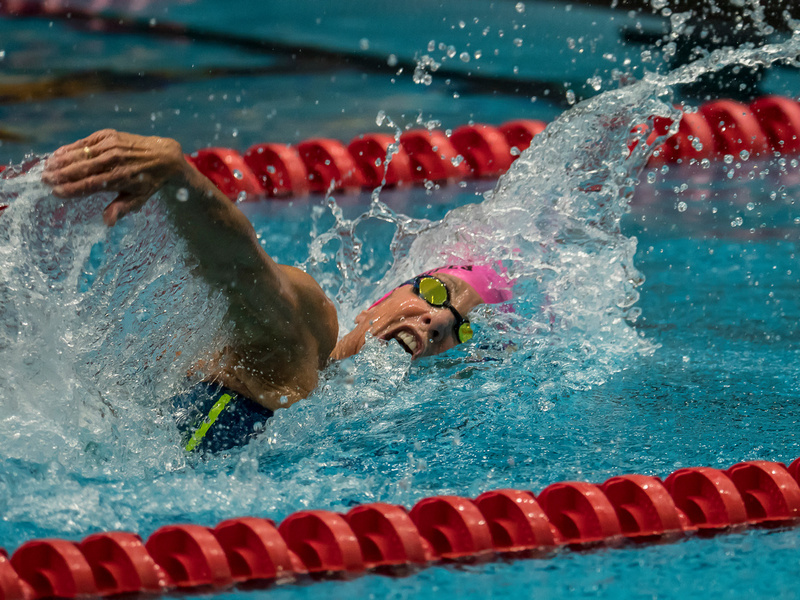 Karlyn Pipes offers Faster Freestyle workshops that are designed to help swimmers and triathletes discover the easy way to swim faster. Using simple and easy to understand drills and techniques, after just one session you will be a better swimmer! This workshop begins the first hour in a classroom setting discussing past and present freestyle swim techniques. Students will then enter the water where Karlyn will begin with the basics: breathing, balance and body awareness. Karlyn will then gradually build into the step-by-step freestyle stroke progression that is designed to help YOU swim a faster and more efficient freestyle. Cost is $125 USD and space is limited. Arrive early: Please arrive at least 15 minutes prior to the start of the clinic. If you have never been to this pool, please allow even more time due to traffic, getting lost etc. Schedule: On average we spend the first hour on deck or in a classroom setting, then about 1:45 min in the water. Don’t worry, we will not swim for three hours straight and the most you will swim is about a mile. What to bring: An open mind, water bottle, snacks, towels, goggles. If you get cold easy be SURE TO BRING YOUR WETSUIT. You do NOT need equipment such as paddles, kickboards or buoys, but fins are ok.